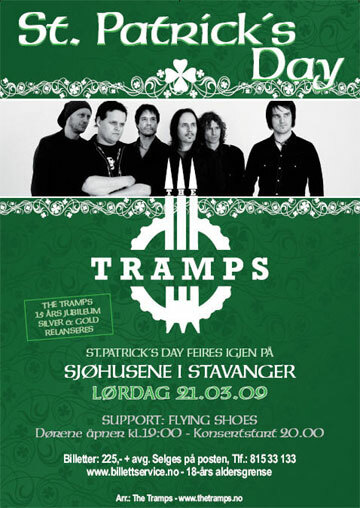 The Tramps has been together as a band for 15 years now, and will celebrate this event by arranging a party / concert at Sjøhusene in Stavanger, Norway on March 21st at 20.00. At the same time their debut album, "Silver & Gold" (see picture below) will be rereleased in a remastered version with never before released bonus tracks included. Tickets can be bought at www.billettservice.no , www.posten.no, from Monday 9th of February 2009. Some new live-dates added. Which means the old Tramps-train's still rolling. 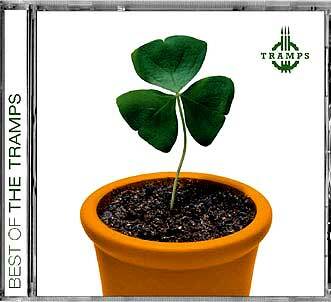 Best of The Tramps was released on May the 3rd. This 18-track CD kind of celebrates the fact that The Tramps has now existed as a band for more than 10 years. Songs like "Me and Jenny", "Cape of good hope", "One last kiss", "Silver & Gold", "Jesus 2000" are of course included on the CD. Lately there's been speculations in various discussiongroups on the the Internet on whether The Tramps still exists as a band or not. The answer is: The Tramps are still with us!!! There are some perfectly natural reasons why The Tramps haven't been touring much the last couple of months: First of all, three of the six members of The Tramps (Hans, Morten and Dag) also play in the new surf/punk/alternative/country/rock band Helldorado. They've received fine reviews for their live-performances and their newly released EP:Lost Highway. This means that they're quite busy at the time. Secondly, some of the other members of The Tramps are using the time now to focus on songwriting/other musical activities. So be patient folks: THE TRAMPS WILL BE BACK, STRONG AS EVER!!! Roadkill was released on October the 7th. Click here to buy it online. Due to a server error on September 26th, all the entries in the guestbook was erased. New pictures from the St.Patrick's Day Celebration 2002 has been added to the site. Go to the pictures section to watch. The new CD by The Tramps is finally mixed and mastered. It is now decided that it will be given the title "Roadkill". The release date is set to be on October the 7th. The release will be celebrated with a giant release party at Sjøhusene, Stavanger on October the 12th. The celebration will be shared with Hellbillies, who's also releasing their new album on September the 9th. Sjøhusene in Stavanger Saturday 16th of March. The concert will be recorded and later mixed for to be released on CD may 2002. Rita Eriksen is one of the special guests that will make this evening unforgettable. Take the time to visit Sjøhusene the 16th of march, and be a part of the celebration and audience on the next Tramps CD. If you have a special favourite song by The Tramps you prefer, let us know, and maybe you will hear it on the forthcoming CD. From February 2001 The Tramps have been using SUB-booking as their new booking agency. SUB-booking is managed by Rune Larsen and Hans A Wassvik from The Tramps. At the present time The Tramps are now discussing their upcoming album. Hopefully it will be released in autumn 2001 or spring 2002. The Tramps have a strong reputation for live performances, so maybe it will be a live album with a mixture of unreleased new songs, jigs/reels, smashing covers and previous hits. Lately, Hans has had some disagreements with the police in Sandnes. He cannot accept that they are using birds in their work to catch lawbreaking traffic-rebels. Hans was caught not using his seatbelt, and got a ticket of 500 NOK. Read his letter to the police here. The police didn't take any notice of his complaint, and maintained their claim without answering his letter. So Hans wrote a new letter in hope to get a reaction. Read his second letter here. Frank Eriksen is still doing his job on the dobro and on the guitar brilliant. It seems like Frank has settled well in the band, and there are no indications that he wouldn't continue as a Tramp with a guitar. The new webmaster in The Tramps is a German, Norbert Haubner, who is now living in Norway. New websites are under construction, so check it out! Fiddle player Pete is currently recovering at his home in Sandnes after an unlucky incident which led to a broken arm. He was touring in Belgium with norwegian goth-band The Sins Of Thy Beloved when the accident happened. But his arm is healing fast, so he recons he will be on the road again with The Tramps in just a few weeks time. He has also spent some time lately working on his solo project The Scarr. 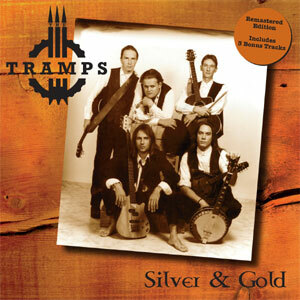 The new CD by The Tramps, "Halfway to the moon", was released on March the 13th. So far it has received very nice reviews in the norwegian newspapers. All the songs on the album are written by the band itself. It's produced by Eivind Skovdahl who has previously worked with artists like A-ha, Ace of Base, Seigmen among others. Although he has given the album a rather poppish sound, the energy and enthusiasm of the band-members still comes through. If you haven't bought the CD yet, you can go to the sound section to listen to some samples from the new album.